Difference Between Omaha Hi & Omaha Hi/Lo - Casino Answers! In both Omaha and Omaha Hi-Lo, the fundamentals are the same. All players get dealt 4 cards. Players then have to use exactly 2 cards from their hand, and 3 cards from the board, to make their hand. However what is different in Omaha Hi-Lo as compared to Omaha, is that there are now two ways to win the pot. Along with winning with the best high hand, you now can also win with the best low hand. For the best low hand there is a qualifier – it has to be 8 or better. This is why the game is often called “OMAHA8”. For example, if one player is dealt AAJQ, and another player is dealt 2269, and the board reads A3766. While the player with AAJQ will win with a full house of AAA66, he would only win half the pot. The other half would go to the other player, as he has the low hand of 7632A. Low hands can not contain any pairs, and flushes and straights don’t “count” when it comes to a low hand, although they can count when it comes to a high hand. Therefore a hand like A2345 is the best hand to have, because it gives you the best possible low hand, and also is an excellent high hand. This hand is known as the wheel. 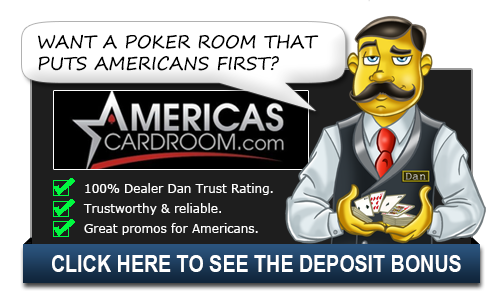 One of the biggest aims in Omaha Hi-Lo is to win BOTH the High and Low end of the pot, known as the “scoop”. This is why Omaha Hi-Lo differs drastically from Omaha Hi. In Omaha Hi, a hand like 889T might be a solid starting hand, however in Omaha Hi Lo not so much. Even hands like QQxx and KKxx are not as valuable in hi-lo. The best possible starting hand in Omaha Hi-Lo is AA23, double suited. This gives you the best chance at the nut low, as well as excellent chances for the high hand, with two possible flushes and 3 cards to a straight. In conclusion, the only difference between Omaha Hi and Omaha Hi/Lo comes at the showdown. Omaha Hi/Lo is a split pot game meaning that there can be two winners when the hand ends. With one winner getting the “high” pot and the other getting the “low” pot. Of course, there are rules to winning the low pot. Any hand with a pair, or with a card higher than 8, does not qualify, even if the rank of the pair is below 8. It is also possible to win both the high and the low, as the cards a player uses for their High hand have no effect on their Low hand. The player can use the same cards, different ones or a combination from their hand. For those who were wondering, this is how you win a Omaha Hi/Lo tournament as the pots aren’t going to constantly be split down the stretch. Having a high hand and having a low hand are just as unlikely.